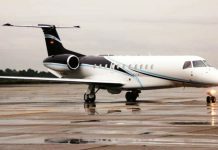 Stakeholders in the aviation sector have called on the Federal Government to beef up security at the Murtala Muhammed Airport, Lagos, following recent alleged poaching of aircraft and stealing of baggage. They told newsmen on Monday in Lagos that security was the bottom line of aviation, hence the need to urgently address the issue. 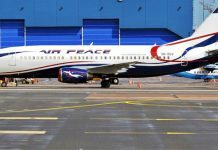 General Secretary, National Union of Air Transport Employees (NUATE) Mr Olayinka Abioye, noted that such incidents were not good for the image of the country. “This is not a good story for the country. “We know that no outsider can come into the airport except maybe people that have been disengaged or maybe workers that are presently working at the airport but are being owed salaries and benefits. “Imagine a worker working in a security company, earning N40, 000 as salary, is approached by a passenger with 1,000 dollars to smuggle an illegal substance into an aircraft. “Some of them will do the dirty job willingly but when such workers are given commensurate remuneration and benefits, they will not be easily enticed,” he said. Abioye urged the Nigerian Civil Aviation Authority (NCAA) to immediately invite all the security service providers to a roundtable where their operations could be properly reviewed. Also, the President of the Aviation Round Table (ART), Mr Gbenga Olowo, said there was need to centralise security at the airport and also deploy technology in strategic areas. “We should centralise security at the airports. ART has been talking about this for some time because we must take the best model of aviation security by removing it from many hands. “We should stop these various agencies from setting up their individual desks. So, we should centralise security and deploy technology. “When you deploy technology, you don’t need a separate counter for narcotics or DSS because once you get to immigration, all your details will be there,” he said.